Happy 4th of July, Blogger Friends! Hope you all are enjoying the holiday with friends and family! 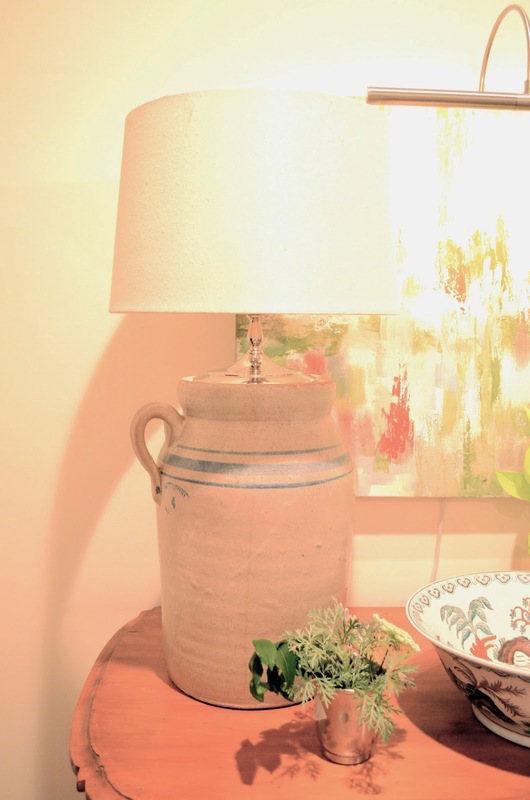 Last in my week of updates is this small one....my grandmother's butter churn turned lamp. The same electrician who wired the breakfast room light for me, did this too. He also did those large glass bottles for me in the living room. 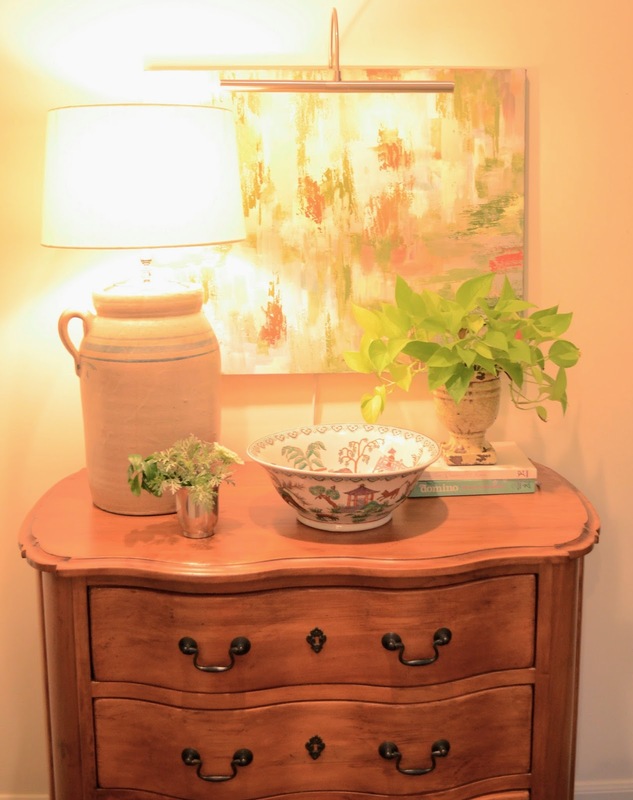 I just love the family history of the pieces, and it makes me happy to have them in my home. Things with patina really appeal to me. I love a nick, scratch, or crack - gives a piece character. And this lamp is no different. Have you ever turned a simple object into a lamp?